It is not centuries old incident that can be forgotten, Pakistanis remember that how Americans expressed solidarity on the establishment of present govt., in order to strengthen and continuity of democracy many promises were made. The need of relations on the public basis was stressed, before and after many apparent and secret defense deals Hilary Clinton was repeatedly apologizing on American behavior in past for renewing Pak-American relations. 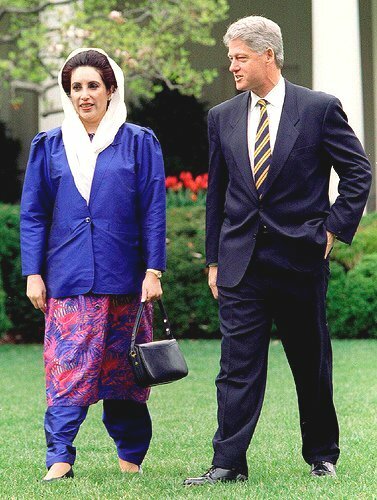 Not only US Foreign Ministry but many Senators and Generals who visited Pakistan were of the view, “the Mujahideen which America had cultivated in the name of Jihad for Russia had now become a problem.” US officials also confessed that after defeat of Russia, in the way USA left Pakistan alone was a big mistake, however assurances were given that such mistake will not be repeated again. 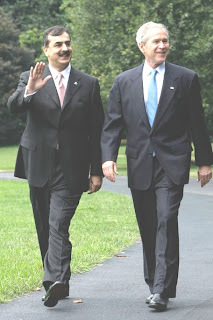 In this way American officials also condemned stopping economical and defense aid of Pakistan through Pressler edition. American media declared Pakistani war against terrorism as a good move towards better relations along with criticizing Pakistani forces. In this situation while the voices of claims of friendship were still echoing in the air, the ink of the newspapers consisting of these claims had not dried up that USA threw away its veil of friendship. USA repeating its old tradition ended aid to Pakistan on such a funny excuse, that one feels ashamed that a country like USA will provide such a lame excuse. US is of the view that a large number of its soldiers should be allowed to remain in Pakistan in the name of training soldiers of FC (Frontier Constabulary). While demanding this neither US is aware, of that, Pakistan is an independent state nor do they feel ashamed of daily arrests of American agents violating Pakistani law on daily basis. Pakistanis raise the question that US trainers will train those soldiers who restored peace is Sawat within 6 months after defeating (US and Indian trained) terrorists? As a witness of restoration of life to Sawat, hundreds of European tourists are present there. Secondly, who will provide training, those American beasts who in spite of massacre of innocents in last ten years, use of latest biological and chemical weapon and latest guns had failed to restore peace in Afghanistan? For respectful withdrawal from Afghanistan, these American heroes need support of Taliban, Taliban! Who had been portrayed in front of world as a reason and strategy to fulfill barbaric American plans for war and to attack Afghanistan (and allow these beasts to hunt for millions of innocent people)? Now in order to pave way for safe withdrawal of its troops and talks with Taliban, now US is forcing its subsidiary UNO to issue a certificate that all Taliban are not terrorists, some are very peaceful Afghan citizens, they were declared as terrorists on the basis of misunderstanding? We are proud of Pakistani forces, who have not considered stopping of American aid and made it clear to the Washington that the war for survival can be fought without American aid. Moreover, we have been fighting this war before and will continue till we get the final victory against the terrorists. These terrorists are effectively being used by satanic triangle of USA, Israel and India to disintegrate Pakistan, they are being provided with manpower, latest weapons and finance, all this is being done since a long time in the form of Gorilla War. After sacrifices of many lives when Pakistan succeeded in controlling these terrorists now strategy has been changed and attacks from the Afghanistan has been started (this is open evidence that USA and India are behind these terrorists). This is just a trailer. Otherwise how is this possible that a group consisting of 200 to 300 well trained personnel crosses the border along with the latest weapons and attacks Pakistani troops while American and NATO forces are unaware of it? (Or actually these are NATO and US forces themselves disguised as terrorists)? This is not the first time that USA has adopted threatening to black mail Pakistan, in which USA had not only hurt emotions of Pakistani nation but also violated international laws of diplomacy. In the history America has already stopped aid more than six times after its claims of friendship. If we look at the history, USA came forward for friendship with Pakistan when Liaqat Ali Khan was about to visit Soviet Union, but due to curry favor of USA Liaqat Ali Khan went to Washington while the invitation from Moscow was in his pocket. When he arrived at Washington he was welcomed in such a way as Pakistan was the lost brother of USA (a significant role was played by our bureaucracy of that time). But, whenever we had to face the hard time US left us in the middle of the trouble. Take the example of 1965 war, when India attacked Pakistan, USA was the first to cancel the aid of Pakistan. Not only this ammunition, other spare parts and equipment used in war was stopped as well, as a result to this American favor in spite of that Pakistan won the war, but also we were forced to cease-fire at humiliating terms. While Soviet Union took the visit of Nawab Liaqat Ali khan to Washington after accepting the invitation from Moscow as insult and supported India. Second time in the 1971 war America betrayed Pakistan in the same way; these facts were disclosed later that America was behind the conspiracy of fall of Dhaka. In 1979 American President Jimmy Carter, amended 1976 Navy bill Arm Export Control Act (AECA) through “Symington Amendment” to put a ban over defense aid of Pakistan conditioning it with the certification of US President that Pakistan is not building plant for enrichment of Uranium. All this was done on the propaganda of India that Pakistan is working on nuclear weapons, while India itself had conducted nuclear tests. When Soviet Union had to face stiff resistance in Afghanistan and was overpowered by Afghan Mujahedeen, Jimmy Carter issued the certificate to restore the aid to Pakistan. However President of Pakistan at that time, Zia-ul-Haq rejected American aid by declaring it as peanuts (Jimmy Carter had farms of peanuts). 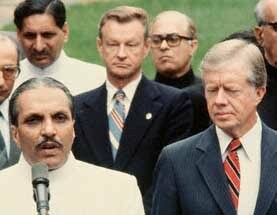 After this Zia was invited to America and bestowed with heavy defense aid. In 1985 the written certificate of US president that Pakistan is not manufacturing nuclear weapons under Pressler Amendment conditioned aid to Pakistan. The reason behind this amendment was that as long as US needed Pakistan in Afghanistan against Russia its behavior was friendly, but when it foresaw the defeat of Red Army, USA changed its strategy. However the use of greed with threat was continued and American president issued a letter to Congress every year. In October 1990, George Bush Senior declined to write letter to congress and thus all aid to Pakistan was stopped. 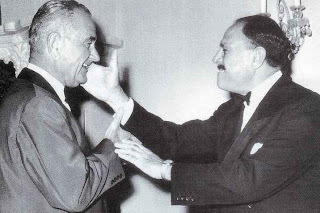 However when USA needed Pakistan to establish links with new born states who got independence from Soviet Union, US envoys arrived in Islamabad and gifted Pakistan with “Brown Amendment” along with claims of renewal of friendship. Through this bill Pressler bill was amended to make it easy for Pakistan to get he aid. 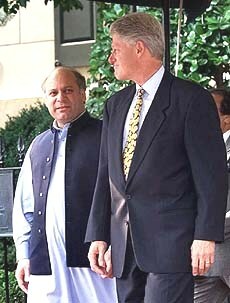 But on 28 May 1998, when Pakistan conducted nuclear tests, American President Clinton cancelled aid to Pakistan through Gleen Amendment on 30 May 1998. When time changed and US decided to capture Afghanistan in the name of 9/11, the bill of Mr. Brown was dusted of and amended to “Brown Amendment 2”. The only change was that now the aid was conditioned for use against terrorism in spite of not to be used for manufacture of nukes. Afterwards the attempt to enslave Pakistan in the name of aid through Kerry Logger Bill was rejected by Pakistani Armed Forces, as a reaction in spite of all the claims of friendship the relations between US and Pakistan remained under pressure but also deteriorated as well. The differences were witnessed by the world when CIA agent (terrorist) Raymond Davis was arrested murdering two Pakistanis on 27th January 2011 in Lahore. 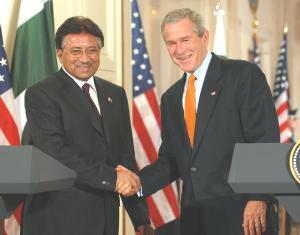 After this people came to knew that are hundreds of American terrorists present in Pakistan like Raymond Davis. Pakistan rejected American pressure and cancelled visas of majority of American agents and deported them. But America was on the view that it will keep its spies/terrorists in Pakistan at any cost. When Pakistan did not accept American demands, a campaign to defame Pakistan army was started by USA. Such incidents of terrorism occurred during this campaign that not only public but soldiers themselves felt nervous. During all this few anchorpersons produced such programs based on false claims which expressed that as Pakistan army itself is passing from the process of disintegration. When all these American attempts could not shake Pakistani forces from their stance, US used its ages old tactic to cancel the defense aid to Pakistan. On 10 July the defense aid to Pakistan was cancelled. US in its record has used best of its tactics but in vain, the real hideous face of USA (United Satanic Alliance) has been unveiled. Not only this American propaganda that Pakistan is second largest country after Israel depending on US aid has been proved false as well. Because Pakistan army has disclosed all the records of American aid in front of nation.